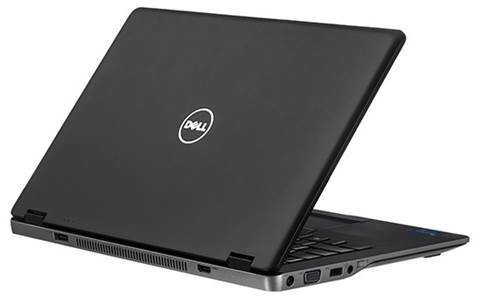 Dell’s Ultrabook model uses a 14-inch screen with anti-glare technology to help users use it effectively even outdoors. A quick testing showed that colors will still be displayed well although they are not as brilliant as on LCDs. The viewing angle is just at an average level. When viewed diagonally, images quickly become darkened and if the angle is too wide, their colors will even be displayed inaccurately. Dell’s Ultrabook model uses a 14-inch screen with anti-glare technology to help users use it effectively even outdoors. The Latitude 6430u only uses an ordinary resolution of 1366 x 768 pixels, which is capable of displaying moderately. However, high brightness along with true display still makes it a good product that meets the common needs, such as surfing the Internet, viewing photos or watching HD videos. The tested version is equipped with a 14-inch screen at the resolution of 1366 x 768 pixels, with Intel Core i-3427U 1.8 GHz processor, 4GB of RAM, 128GB SSD, Intel HD graphics 4000 graphics chip. 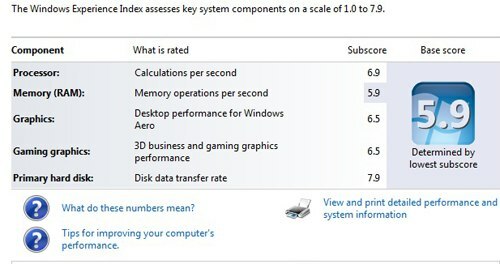 With the specification as mentioned above, the device achieved 5.9 points marked by the Windows Experience Index on the pre-installed Windows 7 operating system. Specifically, the processor reached 6.9 points, RAM at 5.9 points, graphics at 6.5, gaming graphics at 6.5 points and the hard disc scored 7.9 points. With the PC Mark Vantage overall assessment program, the device achieved a total score of 12,849, which is an impressive score for a business laptop. On a scale of details, memory got 7,528, gaming 9174 and storage up to 43,040 points. What comes with an Intel Core i5 ULV processor is the Intel HD Graphics 4000 graphics chip which brings impressive graphics performance for an integrated chip. When trying to assess the machine at the resolution of 1,366x768 pixels, the results got 5,607. 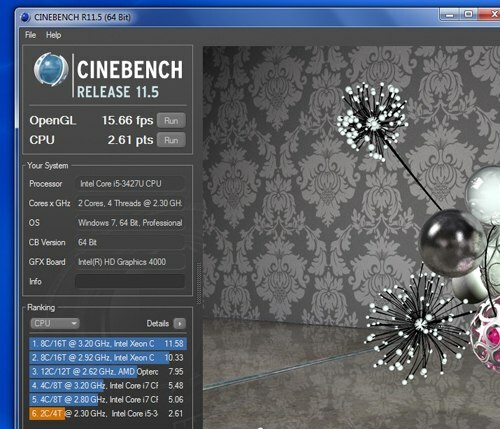 In the test scores if the CineBench 11.5 program, the OpenGL scores reached to 15.66fps and scored 2.61 for the processor. The 128GB SSD of the Latitude 6430u, carrying LITEONIT brand, has an average data read speed of 301.8MB/sec. This is a remarkable result compared to many other models using SSDs with an average speed of 150 to 200 MB/sec and much better than the average speed of about 70MB/sec on mainstream laptops that have HDDs. Meanwhile, the testing showed that repeating a HD 720p movie until the machine is forced to turn off, with Wi-Fi off, using headphones instead of speakers and setting the volume level to 70% (the sound volume of Windows Media Player set to 100%), brightness at 50%, until the machine automatically turned off (at 5% of battery), this time achieved was 2 hours 53 minutes. In a test of opening Chrome browser and loading ten websites and automatically refreshing them every 15 minutes, browsing an online music website with continuous playback using headphones instead of speakers and the volume level set to 70%, brightness at 50%, letting the device run until the battery was about 5% (automatically turned off), it lasted 3 hours 11 minutes. · The keyboard is not backlit. · The Latitude 6430u is an Ultrabook that is quite attractive for users who intend to buy one for business purposes. · The product’s characteristics and features, such as super-durability, anti-fingerprint cover and trackpad all contribute to boosting its mobility to the peak. Dell XPS 12 Convertible Ultrabook - Is Its Stunning Two-In-One Design?